Sage smudging, sweat lodges and connecting with First Nations elders: these and other cultural traditions are central to EFry’s full-time attendance program for Aboriginal girls in conflict with the law. As an alternative to incarceration, girls ages 12 to 18 may complete their sentences at Am’ut, a 24/7 supervised program based from a home on five acres in Chilliwack’s farm country in the Sto:Lo nation. 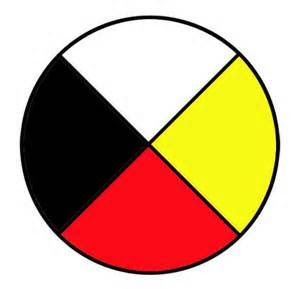 At Am’ut, cultural symbols like the traditional medicine wheel are used throughout the program. The wheel’s four quadrants represent physical, emotional, spiritual and mental well-being. Most of the girls arrive at Am’ut traumatized, both by their lives before incarceration and their time behind bars. Our primary goal is to help these youth realize their self-worth and their ability to build a future that does not include prison. The challenges faced by Aboriginal Canadians are well documented. Poverty, mental health issues, addiction and incarceration levels are all higher for Aboriginals than the general population. At EFry, we believe self-esteem is vital to a positive life. Through Am’ut, we help connect girls with the beauty of their Aboriginal heritage, building both respect and pride in their culture and themselves as individuals. The program is run by First Nations and Métis leaders, with weekly visits by a Cree elder experienced in supporting incarcerated youth. As the girls who come to us have varying Aboriginal backgrounds and levels of cultural awareness, Am’ut is structured to enable everyone to participate in the heritage component in a way that is comfortable for them. Each day begins with a sharing circle, during which sage is burned in a smudging ceremony. The smoke from the herb is passed over the girls to signify healing and positivity. After this, the girls are educated by a teacher from the local school district. During the summer, EFry hires a temporary teacher so participants’ education continues uninterrupted. Every evening at eight, another smudging circle is held, during which each girl is invited to share her thoughts, what she is grateful for and a wish for the future. In addition to daily activities, Am’ut offers a tapestry of cultural activities to suit every background and level of spirituality. There are drumming evenings, formal and casual interactions with an elder, visits to a sweat lodge and a long house, as well as monthly cultural experiences like cedar weaving, traditional feasts and Aboriginal games. The girls also receive weekly First Nations language instruction by a linguistics specialist from the Tzeachten band. By the time girls graduate from Am’ut, we aim to have helped them develop a positive connection to their heritage that will carry over into success as they rejoin their communities. During Am’ut, girls are also encouraged to plan for meaningful futures. One recent program graduate also completed her GED during Am’ut and is now planning on attending hairdressing school. Others voluntarily check in with us from time to time, because they know we care about how they are doing. Up to six girls can participate in Am’ut at one time. This program is made possible thanks to funding from BC’s Ministry of Children and Family Development.